Aurora Plastics offers a variety of products for electrical applications, including AuroraTec™ and AuroraGuard™ rigid PVCs and AuroraFlex™ flexible compounds. 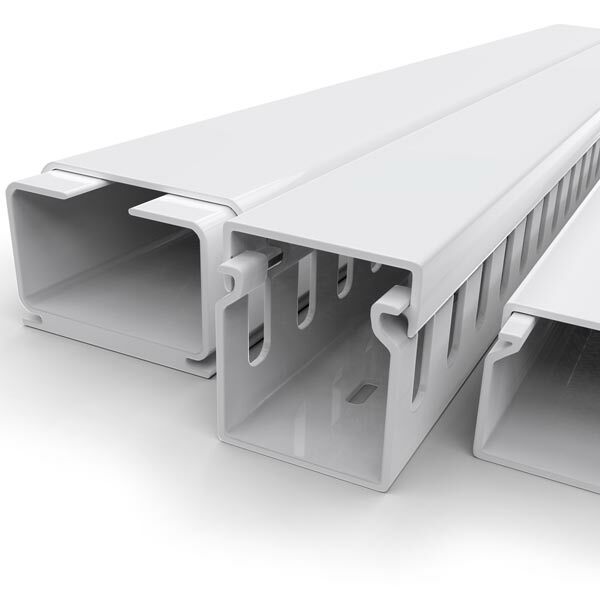 AuroraTec™ interior grade rigid PVC compounds are UL recognized for electric raceways. Highly versatile, these compounds can be used as stand-alone compounds or as structural substrates, along with capstock, in two-part systems. Either way, these compounds provide a wide processing window and demonstrate resistance to electrical failure far surpassing metal conduits under similar conditions of heat exposure due to their lower thermal conductivity. Designed for the extrusion process, they are available in pellet or powder form in a wide range of colors. AuroraGuard™ compounds offer many of the same performance and processing benefits of AuroraTec™, but also provide high-heat, low-smoke zero-halogen and flame-retardant properties, making them ideal for electrical applications. Unlike rigid PVC, AuroraFlex™ flexible PVC introduces a plasticizer into the formulation to give properties that are required for non-rigid applications. Aurora Plastics can provide flexible PVC from 35A to 95A Shore A Durometer* to semi-rigid, with specific gravities ranging from 1.15 to 1.65. We use various types of plasticizers to meet specific needs, such as renewable non-phthalate, improved low temperature tolerance and biocides. * NOTE: Durometer hardness is measured with a calibrated durometer using the Shore Type-A scale in a room of consistent temperature. The indenter is inserted for 15 seconds to determine if it passes the ASTM D2240-Durometer Hardness test for the desired durometer. Aurora Plastics compounds for electrical applications.